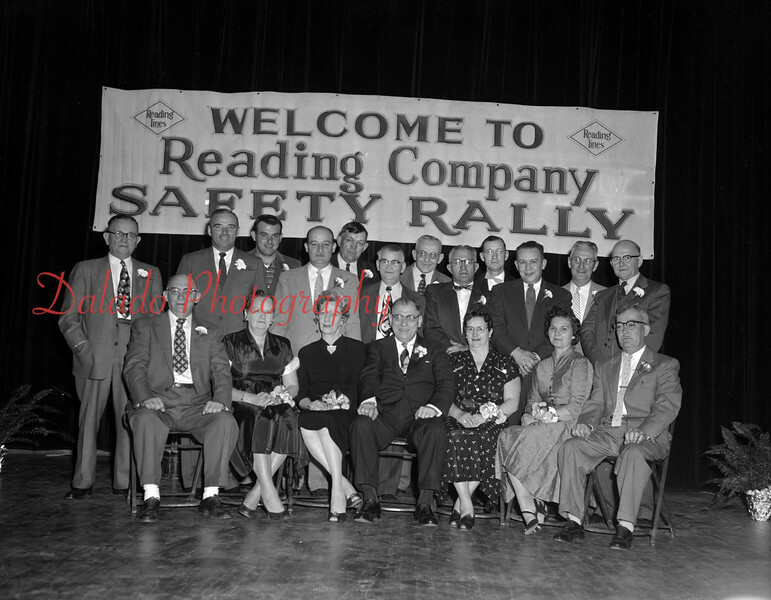 (1956) Safety Rally of the Shamokin Division Reading R.R. Co. Seated are, from left, George Miller, Ellen Glennon, Mrs. G.L. Maurer, C.K. Hock, Mrs. Dan Mowery and Harry Paul; standing, C.A. Martz, Gordon Troy, H. Lindermuth, G.L. Maurer, Fred Firster, R. Bobbs, Harold Smith, Ray Wagner, J.J. Hollister, D.E. Mowery, Herbert Lone and R.A. Fels.